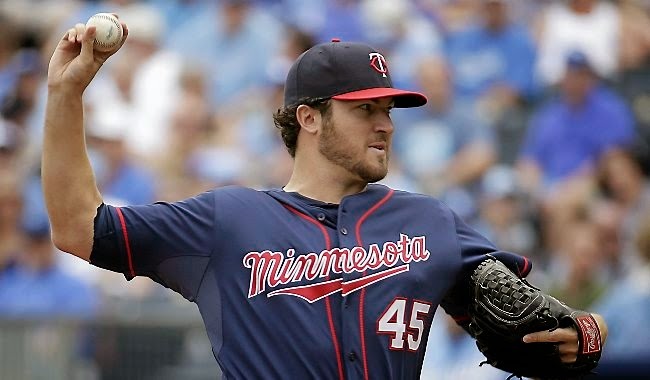 Prior to the start of the 2014 MLB season, the Minnesota Twins signed Phil Hughes to a 3 year $24 mil deal. He had a record setting season in his debut, setting the Strikeout-Walk ratio record at 11.63. Hughes beat out Bret Saberhagen (1994) and Cliff Lee (2010) as the only others to have a ratio of 10 or better. Curt Schilling's 2002 season was the only other time a starting pitcher had 9 strikeouts to every walk issued. Pedro Martinez had a K/BB ratio of 8.46 and 8.88 in back to back seasons from 1999-2000. Jack Moore of Sports on Earth titled his post "A Perfect Fit"